CEREC allows us to create strong, customized, tooth-colored ceramic restorations in just one visit. That means no more waiting for your procedure; your tooth is restored in one appointment! CEREC is the latest technology for many dental procedures, like crowns, bridges, and veneers. Once these steps have been taken the process is complete and you are left with a newly restored, polished tooth that looks natural again. We offer CEREC for a variety of dental procedures, including crowns, bridges, and veneers. If you’re interested in speaking to a CEREC dentist in Michigan, please contact us. A dental crown, or cap, is a tooth-shaped cover placed over your tooth. It is then cemented into place and fully covers the tooth. 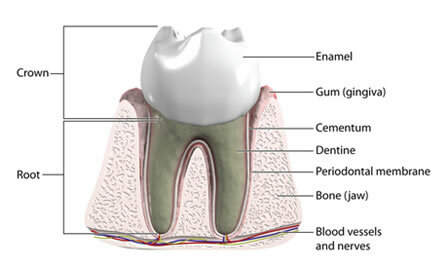 Crowns are used when a tooth is compromised due to decay, large fillings that are worn or cracked, and fractures. Advances in technology and high-end materials allow us to simulate the natural beauty of healthy teeth, achieving a high level of visual aesthetics. Bridges are recommended if you are missing one or more teeth. Gaps that are present can often result in other teeth shifting into those empty spaces and causing a ton of problems for your teeth. Missing teeth can cause an imbalance which can lead to gum disease or TMJ disorders. When cared for properly, bridges can last a very long time. Make sure to visit your dentist regularly for check-ups. Pointe Dental Group also offers one-day cosmetic veneers to our patients in Michigan. Veneers can enhance the color and shape of your teeth, including cracked or chipped teeth and spaces between teeth. Learn more about cosmetic veneers.